Home » Dot » Mathematics » Separator » What is the separator between the unit and a part of a unit? » What is the separator between the unit and a part of a unit? What is the separator between the unit and a part of a unit? A way of writing numbers where each digit represents the different power of 10 .It also needs a decimal point (dot) to separate the integral and fractional parts of a number. 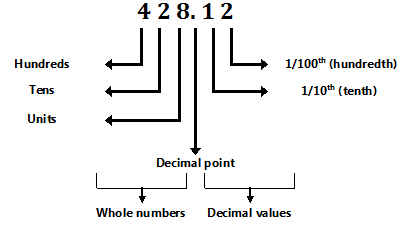 A point separates the whole number on the left from its fractional part on the right.